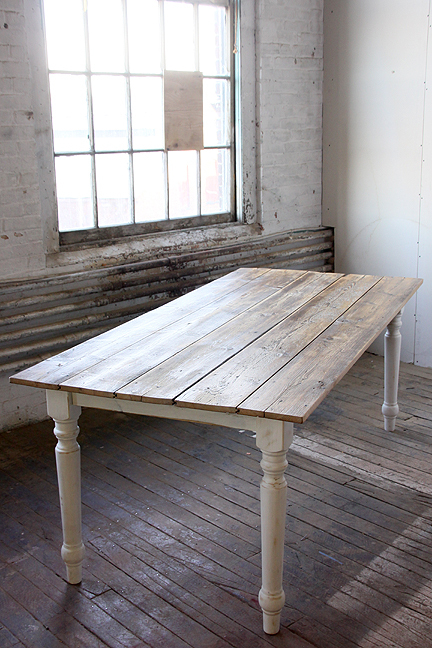 The north main dining table was crafted from salvaged finds from yard sales, Craigslist and mom’s basement. 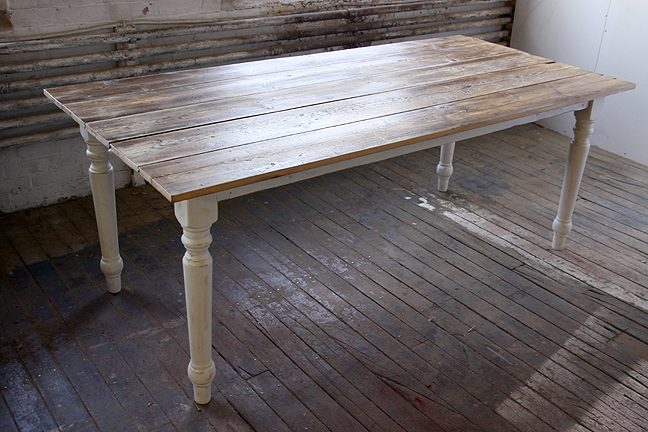 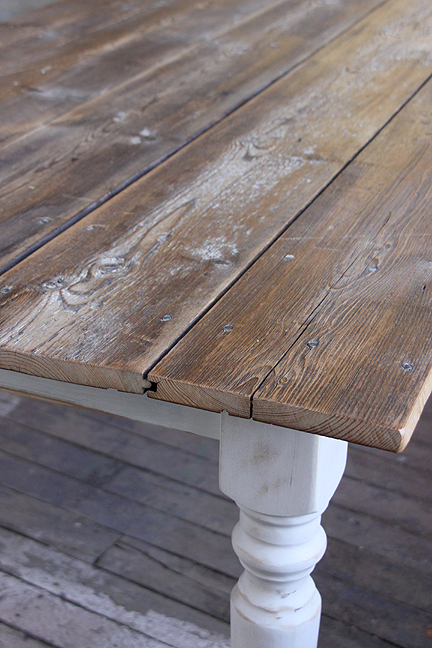 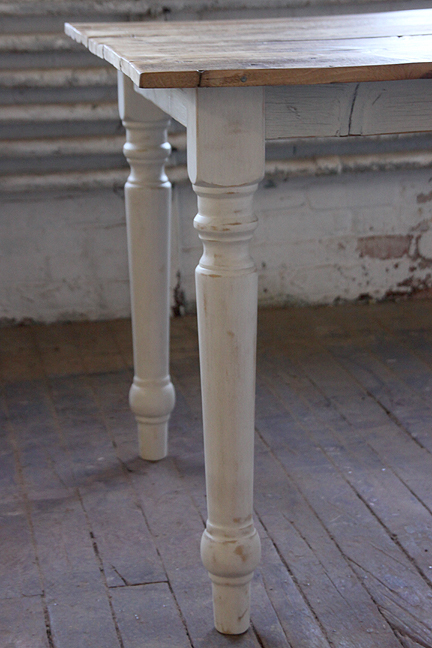 An outdated pine tabletop was given a new life when sanded and whitewashed. 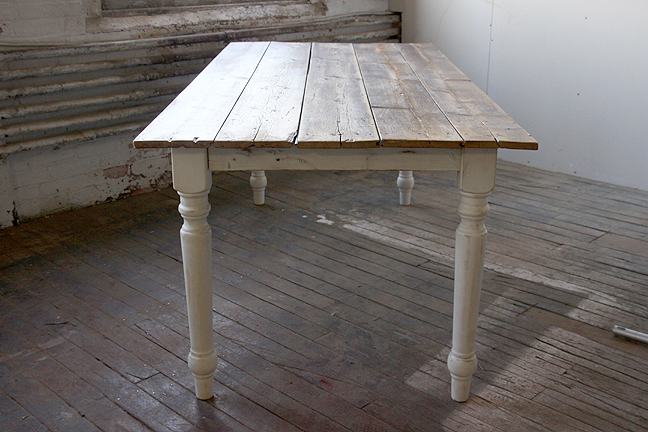 A peeling farmhouse door became the table’s apron trim, the ghost of its lockset still intact. 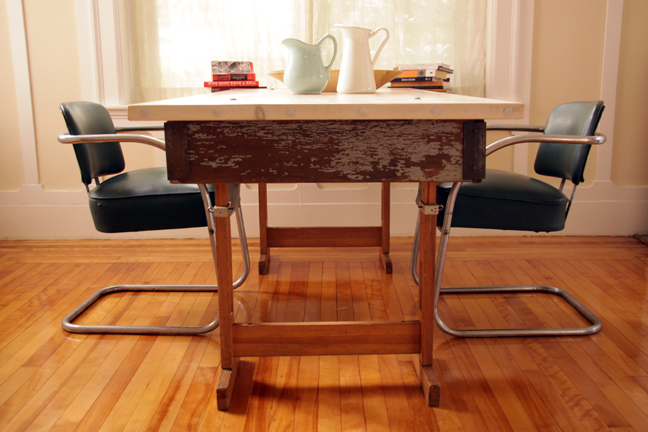 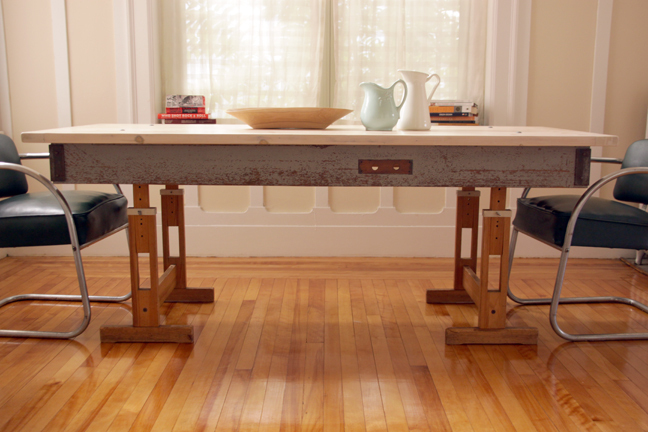 The pared-down legs of a 1950’s drafting table give the perfect balance and allow the table height to be adjusted. 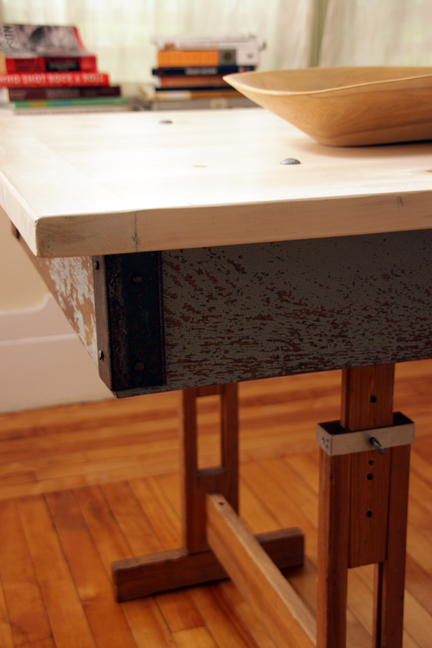 Antiqued metal corner brackets and galvanized carriage bolts complete this piece.